Ana Maria moved to Brooklyn from Miami more than a decade ago. She instantly fell in love with its eclectic neighborhoods, cultural diversity, and stunning turn-of-the-century architecture. Exploring many different neighborhoods in Brooklyn, Ana Maria found that each is unique and full of hidden gems, waiting to be discovered. Extremely knowledgeable about Park Slope and its surrounding neighborhoods, Ana Maria has an encyclopedic understanding of what these areas have to offer, from the best restaurants and shops to her favorite nearby activities. 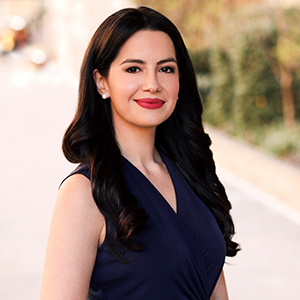 Ana Maria is ready to guide you through every step of New York's intricate real estate process, whether you are a first-time renter, a buyer from out of town, or an experienced seller. She is ready to answer all your questions utilizing her vast expertise of the real estate market. As an agent at Compass, Ana Maria strives to make every one of her clients' experiences special with her effervescent personality, work ethic, and integrity. She will listen to and understand your needs, ensuring they are met, while helping you find a perfect home.